When life gets busy, a dead battery should be the last thing on your mind. 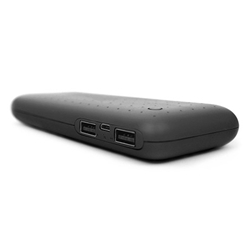 Enter the 6,000mAh Power Bank with UL Battery Pack from iEssentials which provides 4 full charges for smartphones. You can keep track of remaining power with the LED indicator. The included micro USB to USB cable lets you recharge at your convenience.